Hi everyone. I'm up on the Sunny Studio Stamps blog today featuring the Pirate Pals stamp set. This set is super cute and great for boy themed cards - which is always a bonus! This is the card I made for today and I also made a video! 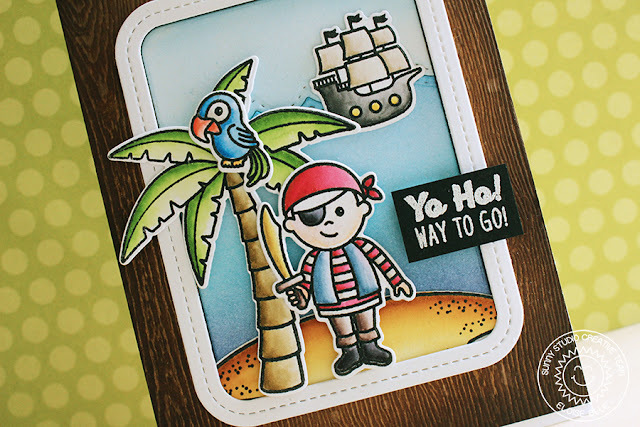 Check out the Sunny Studio Stamps blog also for more information and the video is linked down below. Thanks for stopping by today and I'll be back later in the week!